Cisco MX300 VC systems with 2 x Cisco Microphones. 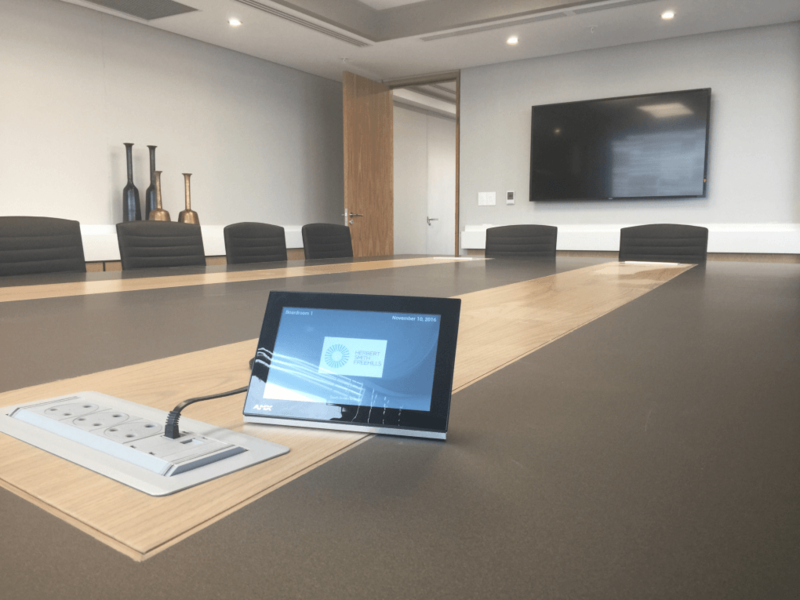 Control for Video Conference System is achieved via Cisco 10” touch tablet. DVX 3255SP provides matrix switching, control, audio mixing and routing, HDMI and DXLink inputs and outputs. 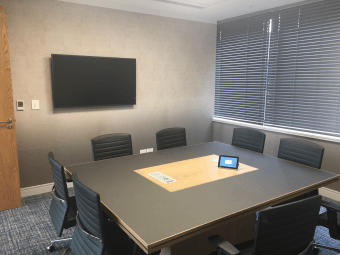 Boardroom 4 has an NEC M300W projector and elite 100” 16:9 recessed projection screen. 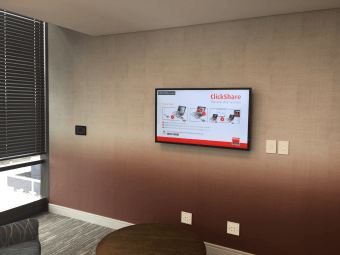 When the rooms are in combined mode the screen and projector switches on and users can choose between Barco ClickShare, HDMI and VGA source in either room. Audio is then distributed through the combined rooms by Tannoy ceiling speakers. 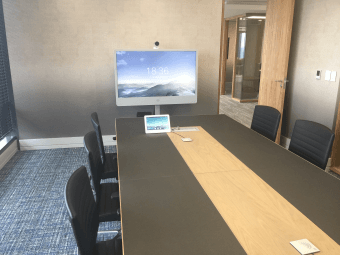 NEC 55” displays can be switched on/off as supporting displays along the side walls when the rooms are combined and display the same image as the projector. AMX NX-1200 controllers in each room.